This was recorded in a garage on a 4-track cassette Portastudio way back in 1981, after “My Bologna” and “Another One Rides the Bus” but before I had landed a real record deal. Now the song is finally getting a proper release as a track on the rarities disc in my upcoming box set, with the permission and blessing of the George Harrison estate (Thanks, Dhani & Olivia!). A new FEC has opened their doors in Colombia by the name of GALACTIKA. According to the press release sent our way by Universal Space, most venues like this in the country open inside of shopping malls as opposed to something more free standing. By the pictures that UNIS sent, it is a redemption focused arcade although in the background I noticed a Pump It Up Infinity and a pair of MotoGP units. As to their design, seeing large windows in an arcade like this is certainly… different. Speaking of UNIS, they were also at the CEMA event in California a couple of weeks ago but I haven’t really heard much about how that went otherwise. 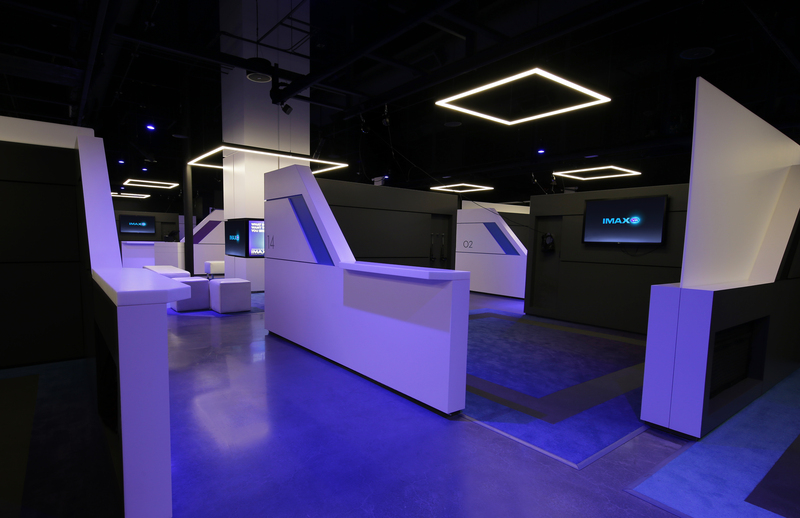 IMAX is joining the VR bandwagon and where they have numerous branded locations to tap into, perhaps they will be able to gain some traction where others have not. This article over at IMAX.com gets into the details about future plans for these VR centers, which will feature content from developers like Ubisoft & Skydance. That means you will be able to play games like Star Trek Bridge Crew and Rabbids VR-Ride. The official page for their new VR facilities can be found here. Thanks to it’s popularity, Nintendo’s Donkey Kong has been the subject of interest from homebrew game developers for a long while. Sometimes this involves a hack of the original ROM to improve or change the original in some way or it is rebuilt from the ground up. The latter is the case with the new Donkey Kong Advanced by Arcadecontrols forum user Ophelius. Designed to make DK more challenging along with elements that are common to the Mario series (Mario not dying from high jumps; enemies like the piranha plant), this also can work in a arcade cabinet using MAME and the right I/O hardware. Speaking of The Walking Dead games, the AH video showing TWD Arcade hands-on at IAAPA 2016 is now the most watched video on the AH Youtube channel to date. Thanks for the views! Where do those old CRT tubes go to die? To an electronics recycler. For the CRT aficionado, the arcade operator and/or the retro arcade collector, you are keenly aware of the issues surrounding the old tubes and keeping them in tip-top shape. Those who still want to keep their old games ‘pure’ may not like seeing the tube recycling process but that’s how it goes. Click here for the article at Motherboard. This week I’m just going to do one game…perhaps that is better than doing three every week anyways.